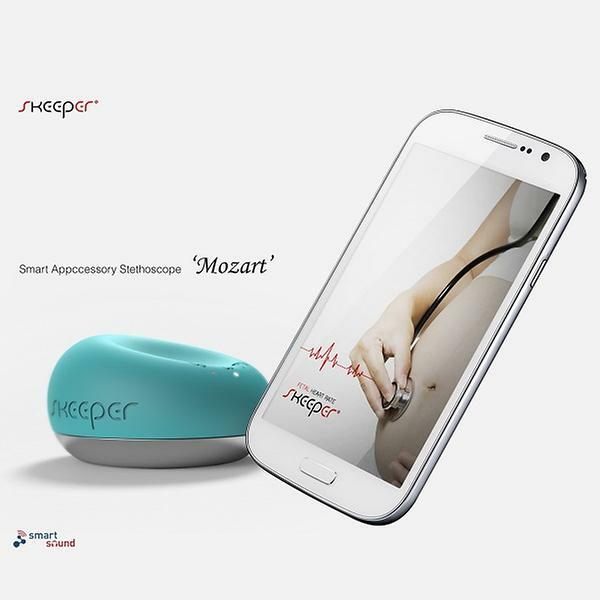 SKEEPER™ Mozart is “Household Smart Stethoscope” that combined digital stethoscope and fetal heart rate meter. This product is “Smart Health Care Appcessory” and was developed in an attempt to create the household smart home care market based on the motto of stethoscope, primary medical equipment of doctors. After linked to smart phones and Bluetooth, SKEEPER Mozart can stethoscope and record heart, fetal sound and send it to SNS through a private Apps, SKEEPER Heart Rate and Fetal Heart Rate. Also, it can stethoscope without linking. Shape like pressing a rubber ball and soft grip feeling of rubber were emphasized. Traditional hard stethoscope image was excluded and stylish appearance, color and portability are the features of this product.